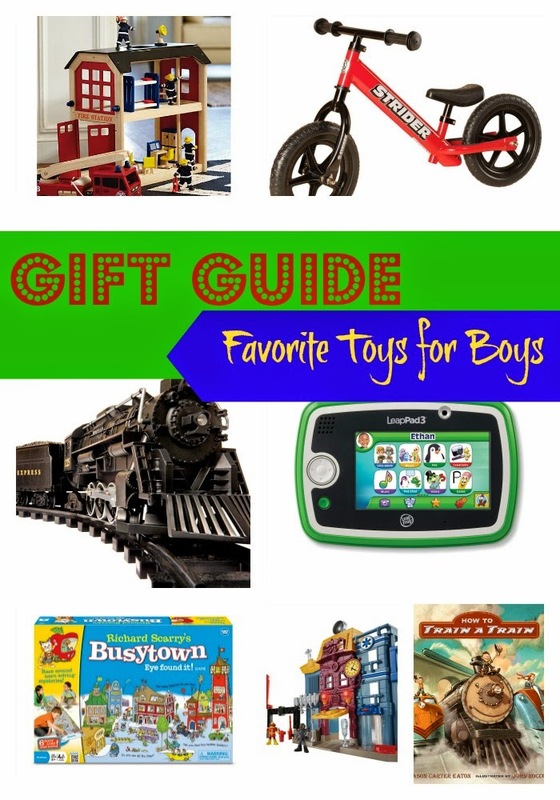 We have been sharing our gift guides this week & now it’s all about the boys today. 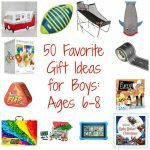 Both of my boys have birthdays during the holiday season so I have compiled a bigger list than usual because we have both birthday and Christmas wish list ideas on here. 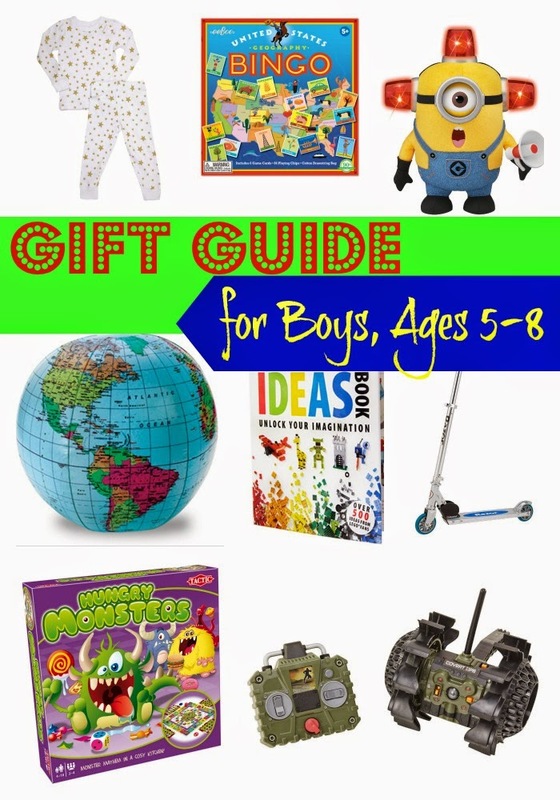 I have compiled some of their wish list items as well as sharing a few tried and true favorites to give you a comprehensive gift guide for boys! First, we will kick it off with Andrew’s wish list. Andrew is really into dress-up, superheroes, & loves to use his imagination. He just turned four and really loves a big variety of toys! Now that Andrew has outgrown his nap time, he still takes a few moments in his room to just rest & read. I thought that a beanbag chair would be a good idea for all of the kids’ big gifts this year & that this would be the perfect place for him to take a moment away from the chaos of the day and read. One of the hot toys of the holiday season & Andrew will be excited to add this to his truck collection. The Max Tow Truck can push and pull over 200 pounds! He also says over 50+ sayings to engage kids in play. Looks like the perfect toy to have under the tree. The boys actually had this on their wish list last year & Santa didn’t manage to find it, so we are excited to say that this toy is here and ready to go this year. This is a great toy to work on fine motor skills, build coordination and imagination, & would be a perfect toy to pull out for some easy entertainment! Just as Andrew is starting to learn to tell time, this Batman clock would be the perfect addition to their bedroom. Andrew loves this book so much that we have completely worn out the one we had from last year & he keeps saying that he hopes Santa will bring him a new one! His favorite book of all-time & he loves using his LeapReader with it! Andrew loves anything that goes so I thought the seaplane would be perfect for both water play & just every day play. Looks like a fun & durable addition to our toy collection. Andrew is really into superheroes this year. 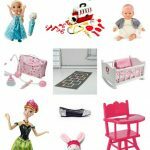 Imaginext products have always been a fan of ours & I know these items will provide him hours and hours of entertainment. Another toy that we had from last year but used so much that we have lost parts. 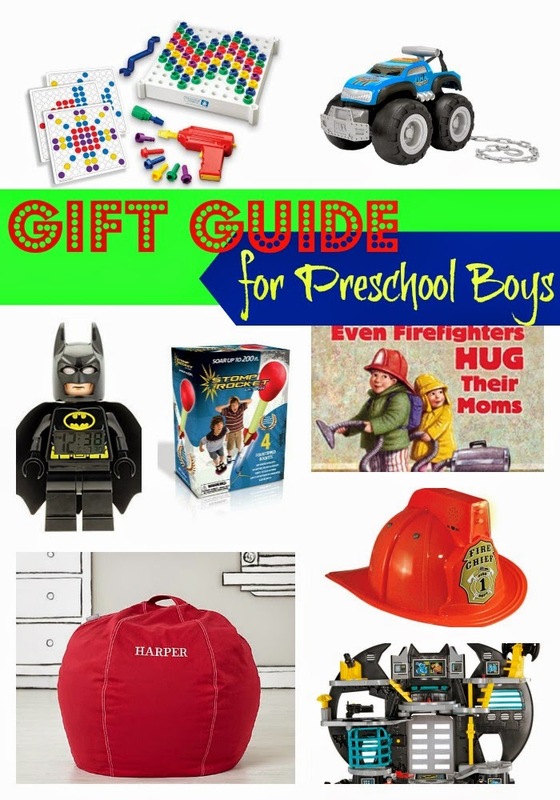 I grabbed this on an Amazon Lightening Deal & am excited to give to the boys this year! The boys love using their Leapreader for quiet times, traveling, & times when we are out and about (doctor’s appointments, waiting lines, & more). These games look like a good combination of fun and education for Andrew. Andrew is totally into dress up. Like almost never leaves a house in costume. These two would be great to add to his dress-up collection with his recent interest in Ninja Turtles and never-ending interest in superheroes. Almost everyday, you can find Andrew in his fire costume. These two accessories are perfect addition to his beloved outfit. I think the holidays are a great time to add on to the puzzle and game collection and I know Andrew will love this fun airport puzzle. Andrew picked out these pajamas as his one item that he wants to wear & they come with a cape. AWESOME! Looks like it will provide some easy entertainment for low cost! Can you tell he love superheroes and firefighters?!?! With Aiden showing a huge interest in reading this year, I thought it was time to give him his own little reading spot. Again, each kid is getting their own special chair & Aiden will be getting the awesome personalized beanbag from Land of Nod. Looks super cute & perfect for him! Aiden needed a new set of holiday pajamas & Courtney recommended that I check out Skylar Luna with their super-soft and long-lasting pajamas. I love the fun prints that Skylar Luna has & am glad to have picked the holiday stars as I know that he will be able to wear them for a couple years & then pass on to his siblings. And of course his love of geography spreads to the United States map. He can probably tell you where every state in the country is so I thought this game from eeboo would be a fun gift for Aiden this holiday season! Aiden is a BIG game kid & this looks like a fun game to add to our collection. You have to search for food tiles to fill your monster’s big open mouth and the first one that does, wins! After seeing that this toy has almost 2000 reviews & is a 5-Star rated toy, I knew this would be one to add to Aiden’s wish list. This toy gives a hands-on introduction to electronics where your child can build electronic circuits and devices. Looks like a great to challenge his mind that never stops thinking! Aiden has been showing interest in “spy wear” & someone recently recommended the Covert Opps set from Jakks Pacific. This ReCon Bot looks like lots of fun & provide hours of entertainment for the boys. 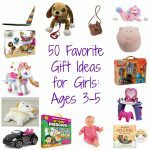 A super simple gift idea but something that this kid always needs! As mentioned above in Andrew’s gift guide, we love our LeapPad & this looked like the perfect game to challenge Aiden. He loves looking at the world map and shows lots of interest in the world around him so the Globe Adventures game looks like the perfect addition to our LeapPad game collection. Speaking of the world, this inflatable globe is exactly what my geography buff would love & for a great price! Aiden is Minion obssesed & honestly almost everything on his wish list was Minion. My sister found this Bee-Do Minion for him which I know he will LOVE & I thought the Operation Minion game would be a fun addition to our game collection. Another toy for my little learner. You use the Tag reader to learn more about the solar system. A great activity that he can do on his own or with his brother. Speaking of games, this is the game that our babysitter would bring along this summer & he still talks about it so I thought it would be a fun gift for Aiden to have under the tree & to play with the whole family! One more game! 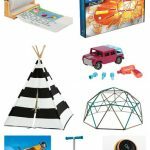 We love ThinkFun products & this looks like a game to challenge & engage Aiden. Aiden has become quite the reader. These book selections are to both challenge & encourage his love for reading. This big boy is ready for a two wheel scooter so we are excited to be giving him a new way to scoot around the neighborhood. One of Aiden’s favorite things about his school week is the once a week science & technology lab they have. I thought this would be a great addition to motivate my little scientist! If you ask the boys what their favorite show, they love Paw Patrol. 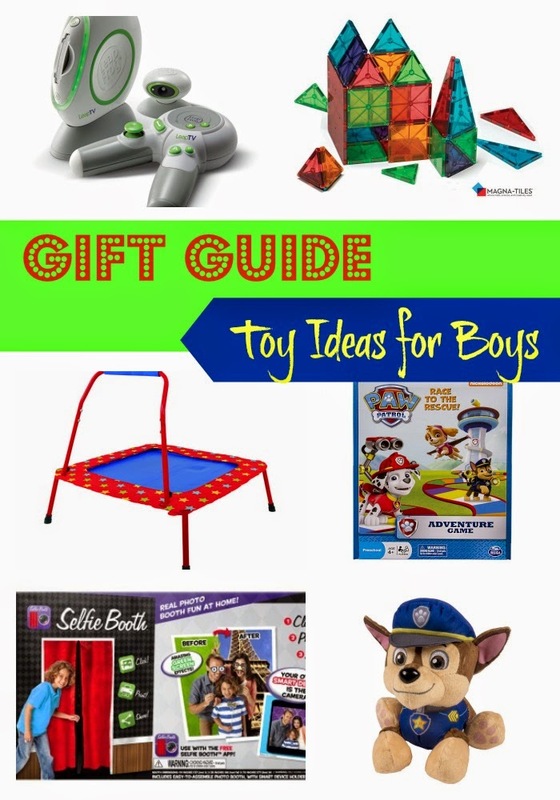 I am so excited to find some of the hottest toys of the season from Paw Patrol & give to them together to play with. I know that this will provide hours of Paw Patrol play in our house! I am always looking for something to keep my kids moving in the winter months & finally decided that a mini trampoline will be a great idea. I love the Galt Folding Trampoline as you can easily fold it & put away with no problem! One of our most used toys EVER & we love them so much that we decided to gift the kids another set so they can build more & taller buildings. I know that they will love this set & totally recommend Magna-Tiles to any parent out there! As we talked about in our post here, the Leapfrog LeapTV is an awesome gaming system for young kids. Again, this is a great way to both keep the kids moving & learning. Both boys will love playing with their LeapTV! 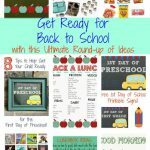 These Travel Doodlers will be perfect for traveling in the car & great for them to practice their writing and drawing. Another must-have in our house & we need to replace what we have! Yes, I love to take pictures of my kids so why not have some fun with this fun Selfie Booth from Jakks Pacific! And of course, I had to share some tried and true favorites in our house. These are toys that we own & are played with often. Ones that I highly recommend for the ages that they are at! I said it above, but we really do love our LeapPad. It has provided hours of entertainment, especially when we travel, run in the stroller, or out and about. We also love our LeapReader, especially my preschooler who hasn’t learned how to read yet! Need I say more. We love just the basic sets so the kids can build what they imagine. Hours of entertainment & a timeless toy! Andrew has been riding this bike for over two years & still has no interest in a pedal bike. He loves, loves, loves his balance bike. Totally worth the money! Our favorite scooter! Both boys actually have their own & are played with daily when it is warm outside! This gets daily use in the summer, often used so much that we wear out that battery so it’s ready to charge again! My boys love the Rescue Bots show & somehow we started to accumulate these preschool “Transformers” in our house. They LOVE these & play with them daily! These are just a few of our favorite board games! Highly recommend Imaginext for the preschool age group! Andrew is my costume boy & he has all of these and are used almost daily! Aiden is my mini teacher & uses his easel daily as his “mini dry erase board”. Great for art projects and more! We have owned ours for almost four years now and still in great shape! We received this last year from my in-laws and actually is the perfect “big” toy to help get their endless energy out. We set it up in the basement in the winter & outside in the summer. You will find them often bouncing before dinner, in the morning, & they love having friends come join them to jump! The boys received this last year for Christmas & it is the one bigger toy that we keep in our living room. They play with it daily & it is adorable to look at! I’m pretty sure that even Abby will have fun with this when she gets older. This is their special gift from their Grandpa that they received a few years ago & now receive a new car each year for their birthday/Christmas. This train we pull out for special playtime & store it away to keep it safe. They LOVE their Lionel Train set and I look forward to having this collection for many years! Some of our favorites include: Elephant & Piggie, How to Train a Train, Press Here, Roald Dahl books, Charlotte’s Web, Pete the Cat. WOW these are fantastic suggestions, thank you so much.